Health Education & Behavior explores social and behavioral change as they affect health status and quality of life. It also examines the processes of planning, implementing, managing, and assessing health education and social-behavioral interventions. Access to the full-text of published articles is free to Health Education & Behavior subscribers. Availability to others is on a pay-per-view or timed access basis. 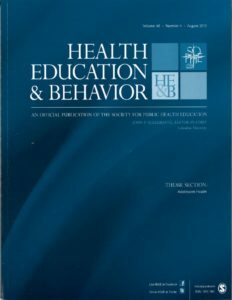 The electronic version of Health Education & Behavior is available free online, exclusively to SOPHE members through SAGE Journals Online.